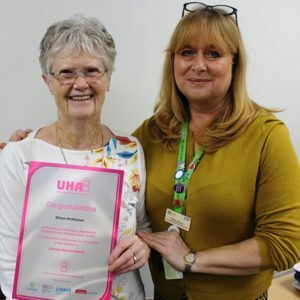 We are very proud that one of our amazing volunteers, Pearl Hinds, who has won a Luton’s Best Award, under the ‘Service with a Smile’ category. 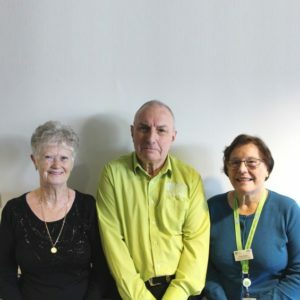 The Luton’s Best Awards honour the outstanding achievements of people from Luton – people who are often unsung heroes, willingly giving up their time to help others and contribute to the community. Pearl and her family attended a glittering ceremony on Friday 24 November at the Luton Hoo Hotel. 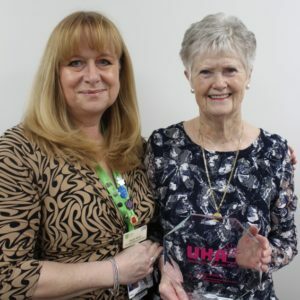 She was nominated by staff on our Children’s Unit where she is based. They said: “Pearl and her smile are infectious! Having been a volunteer on the unit for a year and a half, she is one of the team and just gives so much. She’s always happy and cheerful and brightens the day of all of us, not just the children. That said, the children benefit so much from her happy disposition, her time and her caring nature – it certainly goes a long way to making then feel more at ease and supporting their recovery.